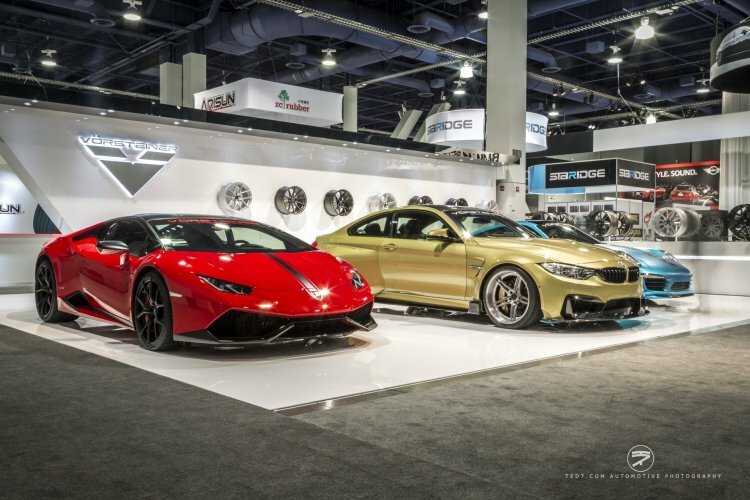 There is no doubt that the show stealers at the SEMA Show tend to be the exotics from Italy, Germany, and Great Britian. 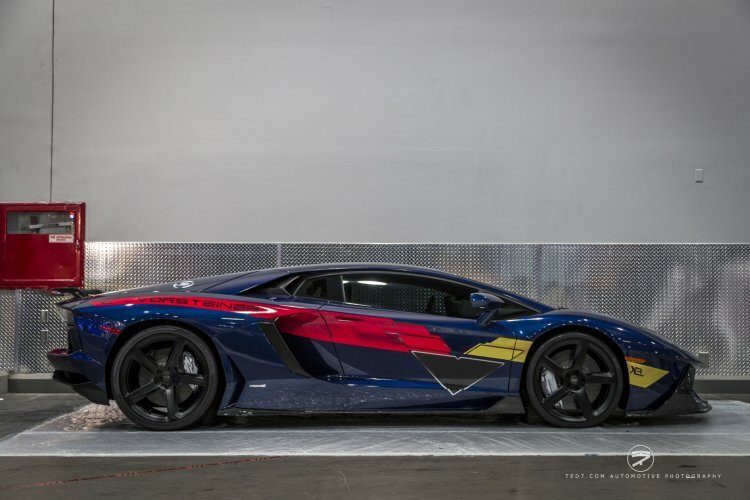 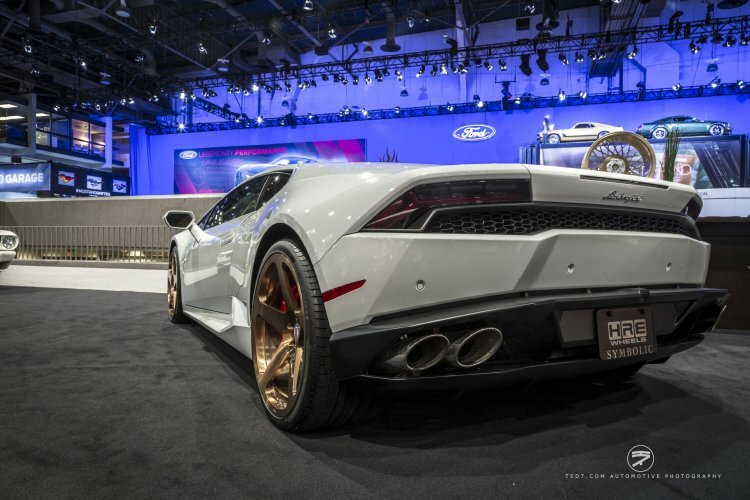 Cars like the Lamborghini Aventador, Ferrari 458 Italia, Porsche 918 Spyder, and McLaren 650S are all visually appealing right from the factory so they make great bases to add some personal touch to. 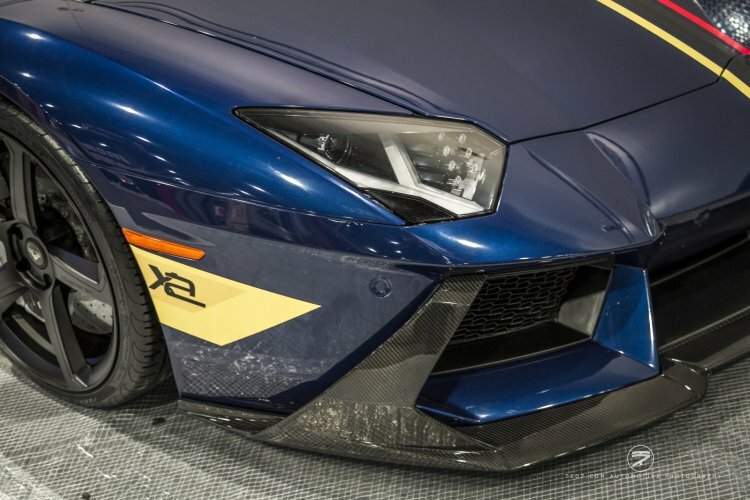 You can see everything from a mildly done supercar sporting a different set of shoes with an otherwise stock appearance, all the way up to wide bodied and flared full on track builds. 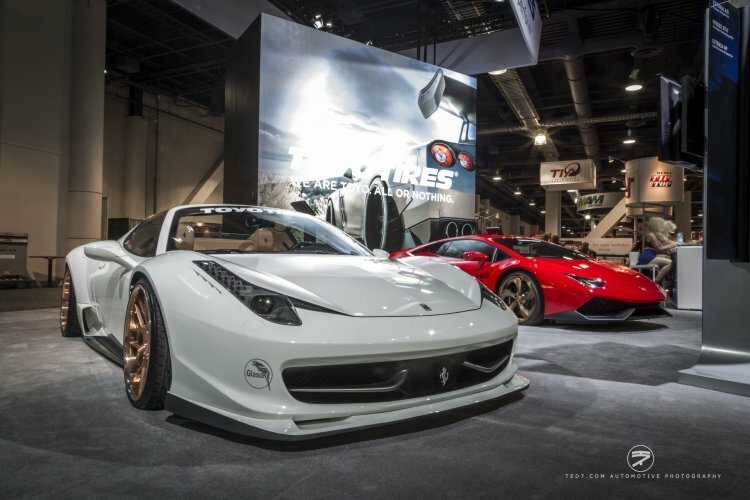 Here is a collection of some of the best Exotics from SEMA as shot by Ted7 Photography. 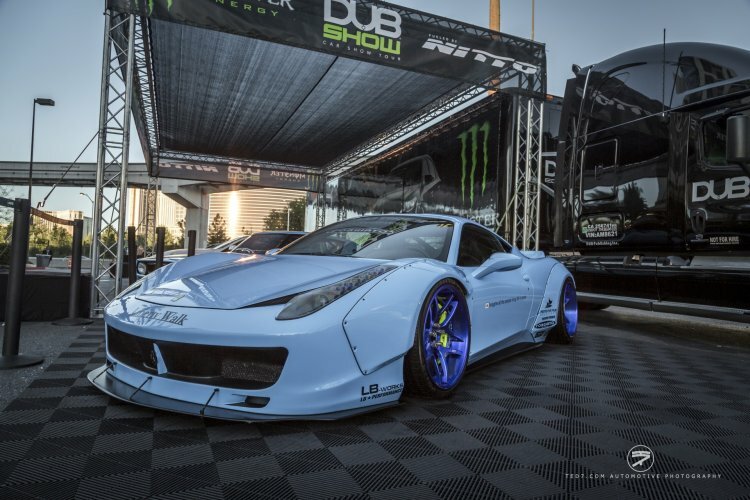 One tuner that is always making headlines is Liberty Walk, and they impressed the crowd with a stunning Ferrari 458 Italia in a beautiful baby blue paint job. 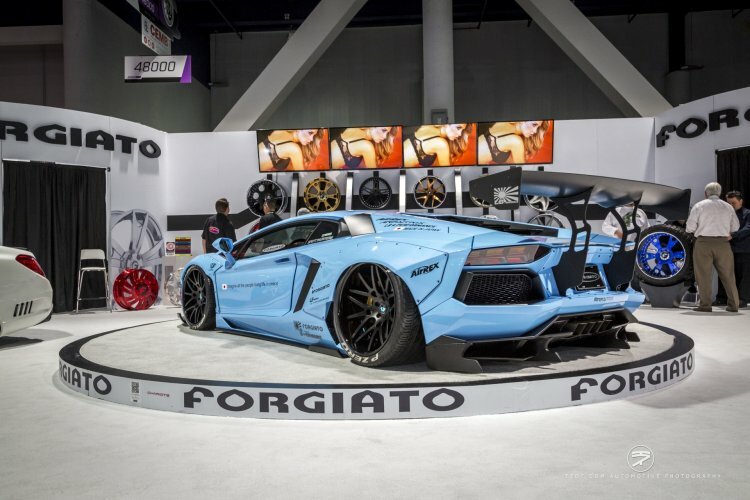 This Ferrari has the full wide-body treatment with some exaggerated fenders covering equally wide Forgiato wheels in a royal blue hue on one side and black wheels on the other side. 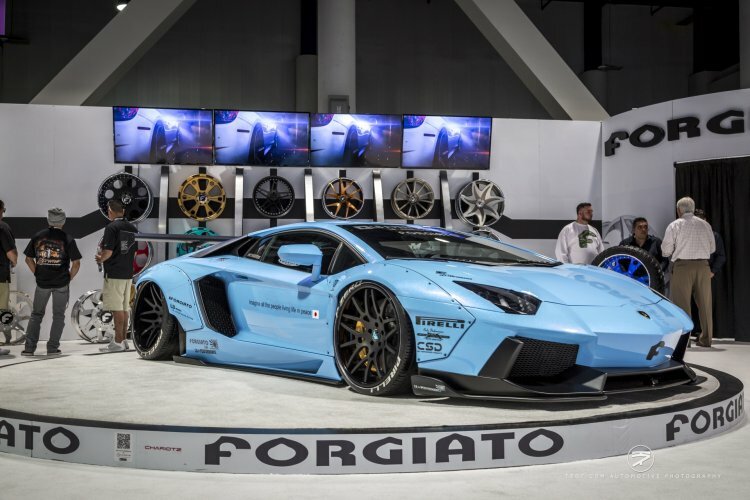 Baring a Liberty Walk family resemblance is this baby blue Lamborghini Aventador also wearing a wide-body kit bearing the brand’s name. 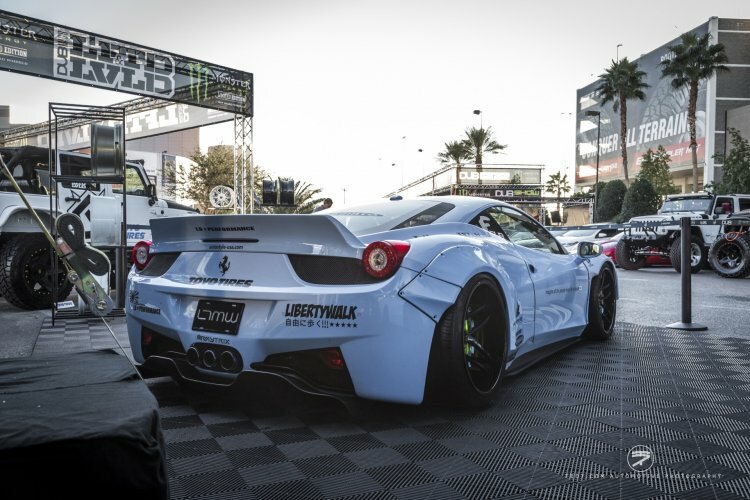 Like the Ferrari, it was also paired with a set of Forgiato wheels that are tucked well into the fender wells creating one mean look. 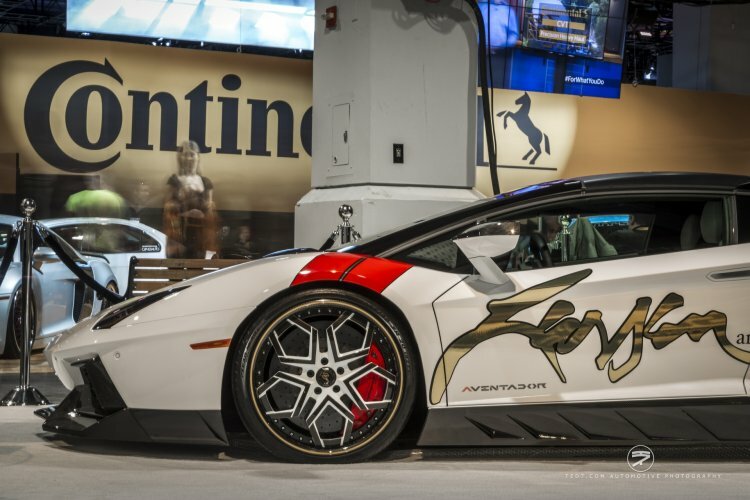 Another wild Lamborghini Aventador likewise was wearing a set of Forgiato wheels highlighted in orange that happened to match the Tron themed orange highlights accented on the car. 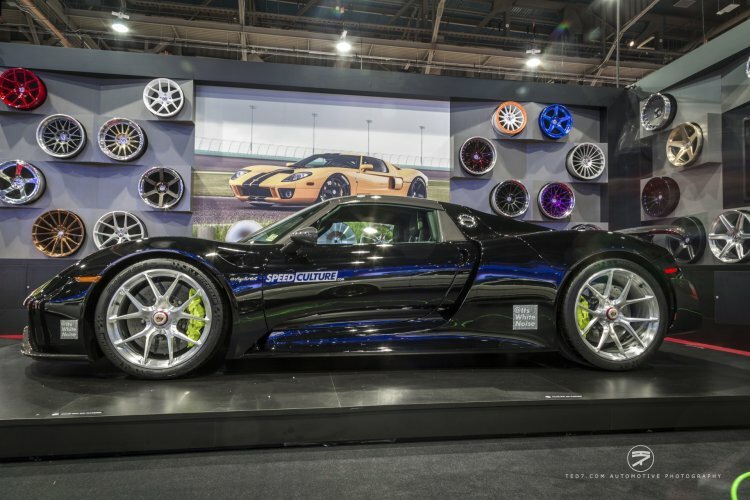 Also wearing a set of Forgaito wheels was this great looking SLS McLaren. 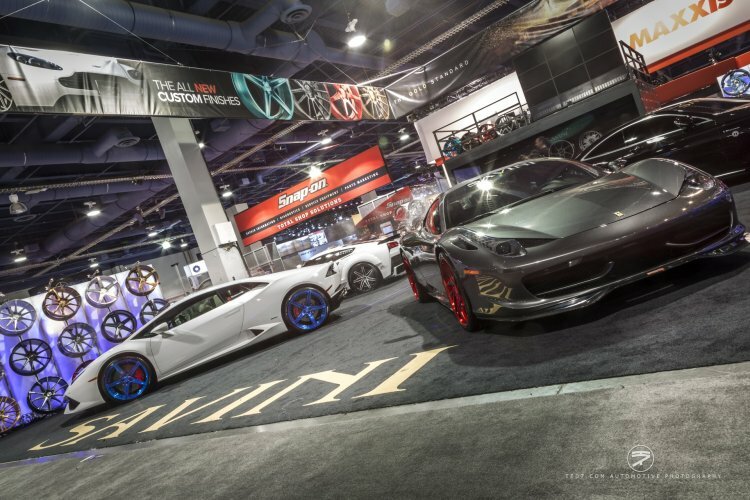 The copper colored wheels go great with a bright red and black accents creating one good looking car. 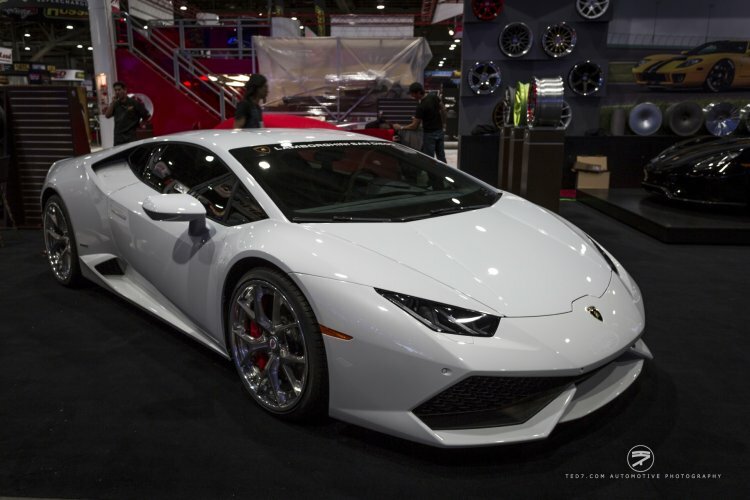 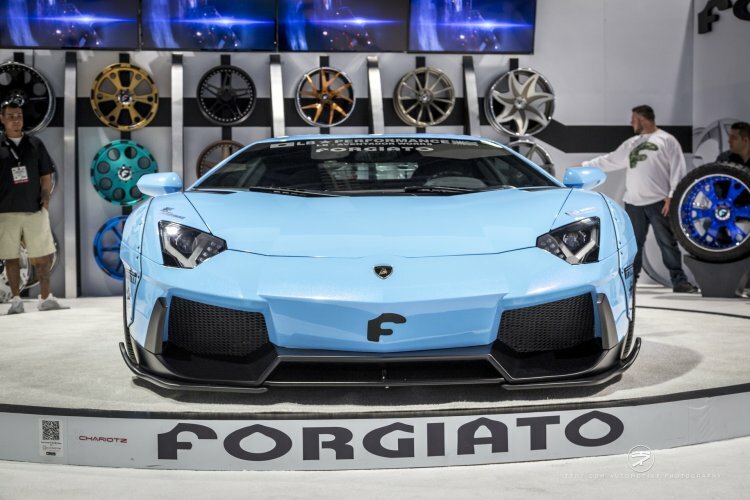 Vorsteiner had a massive presence in the exotic crowd with a booth setup that housed a red hot Lamborghini Huracan wearing a set of the company’s shoes. 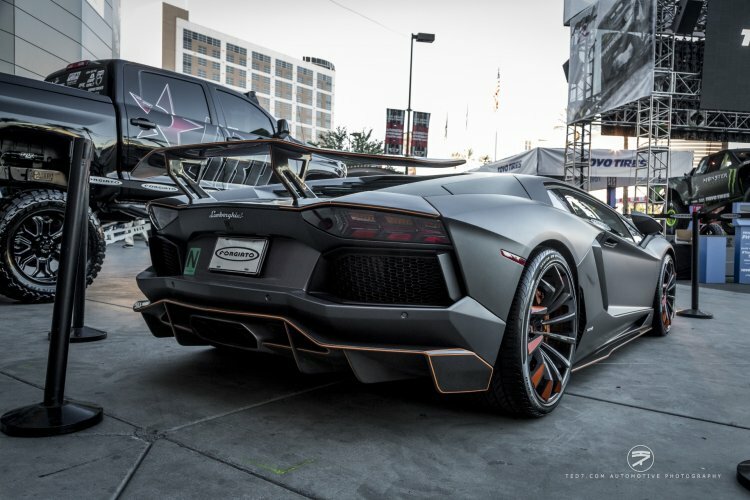 Nearby there was another gorgeous Lamborghini this time done I a dark blue with Vorsteiner’s logo highlighting the side. 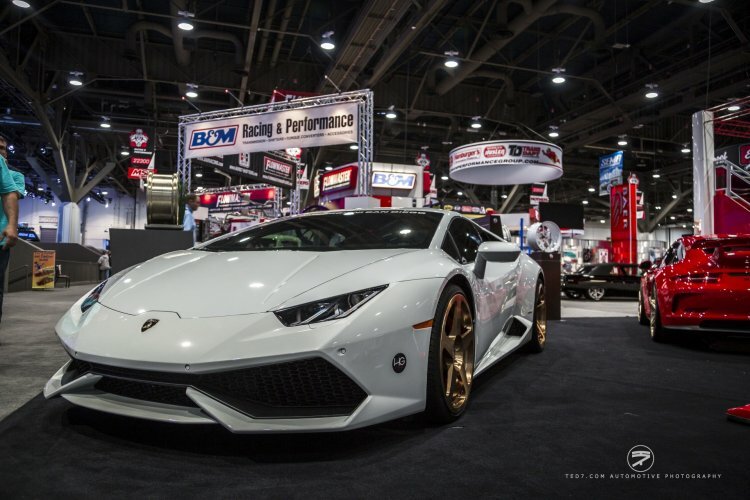 Another company with a big presence like they do at every show was HRE. 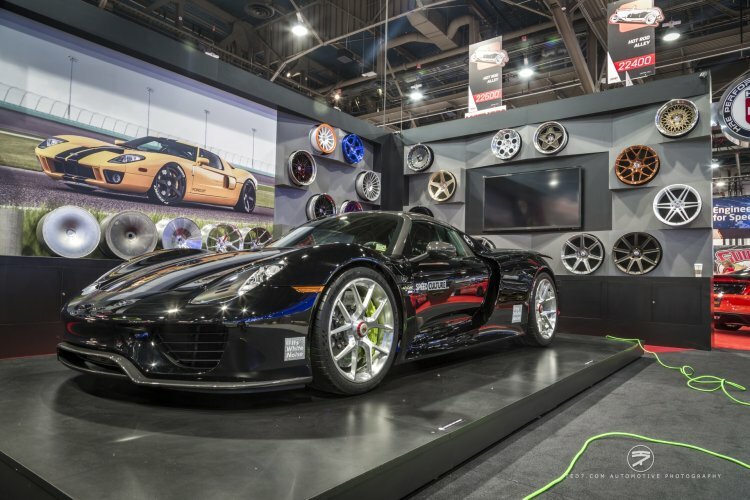 There were a wide variety of exotics throughout the show sporting many different models from HRE’s catalog, including a Porsche 918 Spyder. 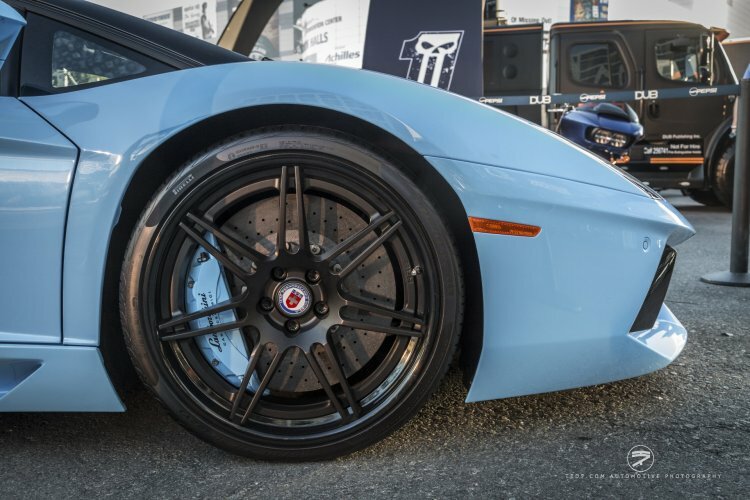 HRE wheels fit well on any car, but they do look best when paired with the wild body lines of supercars. 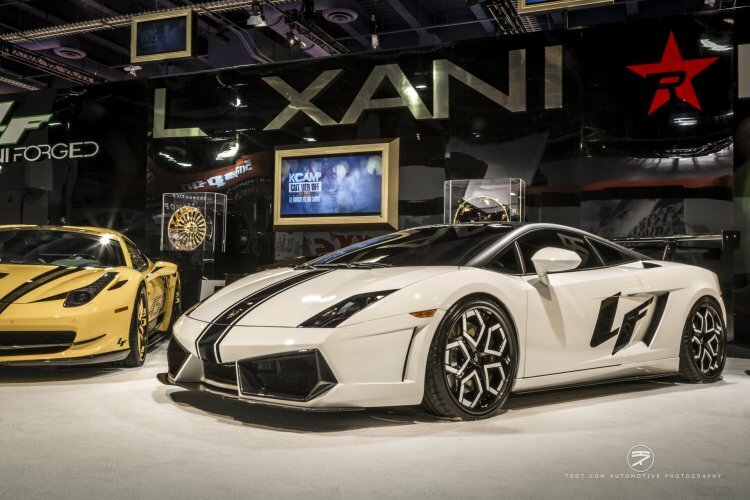 Lexani also had quite a presence with a large booth showcasing their products where a pair of bulls from Lamborghini surrounded a Ferrari 458 all wearing a model from the Lexani Forged line. 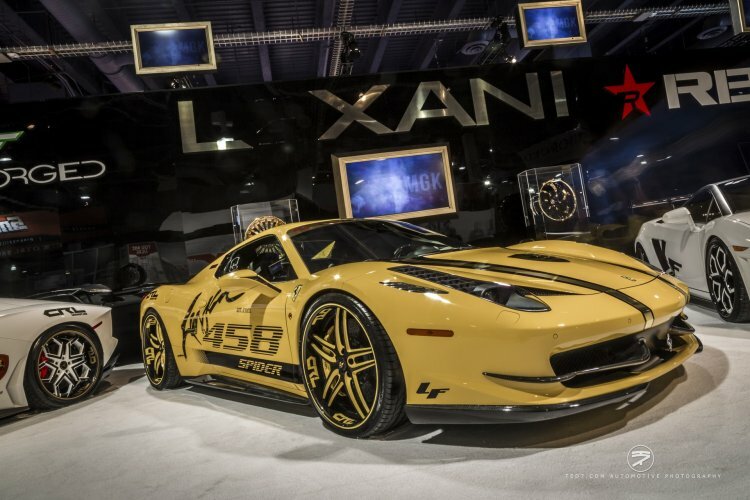 What better way to share the exotic look of Lexani Forged wheels than an exotic car?